Think of a game you play that requires dice. How would the game's rules have to be changed if the dice you used had more than six sides? Why do you think the dots on dice are called "pips"? What do you think they should be called instead? Why? According to the article, the numbering style on dice was changed so the opposing sides of each die added up to a prime number rather than adding up to seven. Anthropologists don't know why this change happened. Why do you think people made this change? 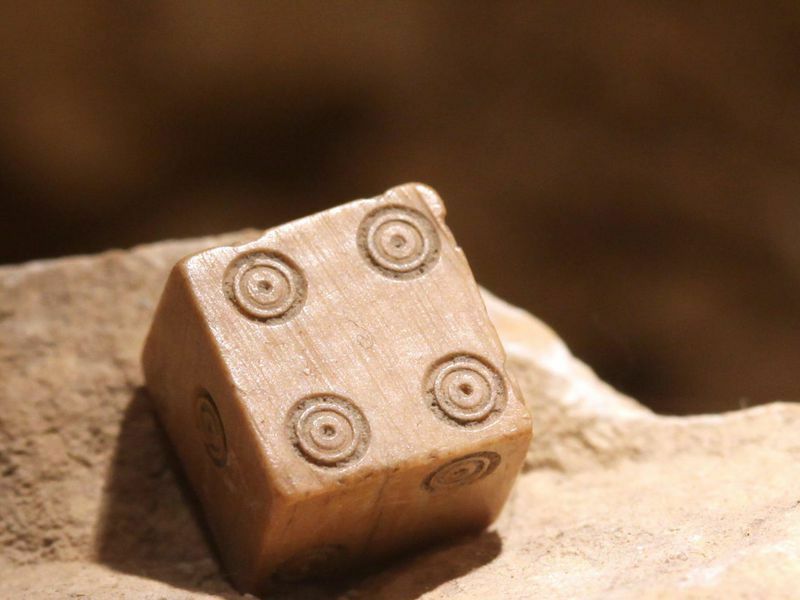 According to the article, new ideas about probability during the Renaissance led people to understand that dice throws are determined by chance rather than fate. Why is this shift in views significant? Help elementary students practice basic math facts and gain a deeper conceptual understanding of number relationships with this lesson from the Cooper-Hewitt, Smithsonian Design Center. Students will design and write clear directions for a new math game. With pigs and pyramids and dog-shaped tokens, what kind of game might they have been playing? Read this Smithsonian magazine article to find out. Read this Smithsonian magazine article to learn about one of Europe’s best-preserved ancient gaming boards, which was found in a grave in Slovakia in 2006. Read this story from the National Museum of American History to learn how the board games Americans played can give us insights into consumer culture during different periods of U.S. history. Want to be a hit at your next party or family gathering? Read this Smithsonian magazine article to learn about some newer board games that are sure to be a hit. Scotland’s oldest surviving manuscript, the Book of Deer, was written by monks living in the Aberdeenshire monastery. Read this Smithsonian magazine article to learn how it was rediscovered and why it is such an important artifact. Read this Smithsonian magazine article to learn how and why a game designer invented a game not meant to be played for nearly 3,000 years.